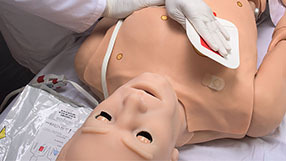 Use HAL® to train individual and team skills at the point-of-injury, during transport, and in the hospital, in both real and simulated environments. 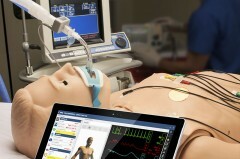 HAL®’s physiological features allow learners to monitor and manage an infinite number of simulated conditions using real tools and medical devices. 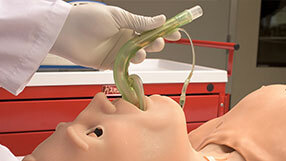 Train oral or nasal intubation: ETT, LMA, King LT. and tracheostomy and needle cricothyrotomy. 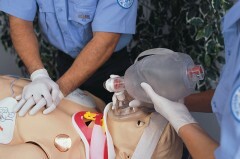 Monitor CPR quality, EtCO2, defibrillation, and medication management to improve ACLS performance. 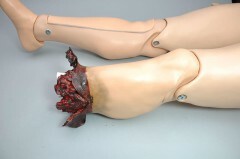 Attach real electrodes, pads, or paddles and monitor HAL’s lifelike rhythm in real-time. Bilateral carotid, radial, brachial, femoral, popliteal, and pedal pulses. Pulse strengths vary with BP and pulses are synchronized with the ECG. 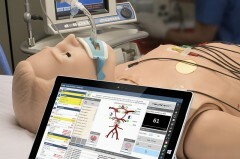 Bilateral IV accesss for bolus and/ or infusion training and simulate the effects using the virtual drug administration. Monitor, capture, cardiovert, and pace using a real defibrillator and real energy. 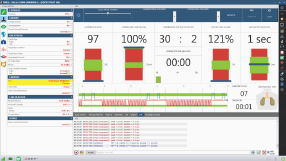 Monitor and assess CPR performance in real-time, simulate perfusion dependent on effectiveness, and export performance reports for debriefing. HAL is the perfect adult patient simulator for training students and professionals in the areas of prehospital and nursing care. HAL is completely self-contained and wireless and fully operational on battery for up to 6 hours. Monitor and provide care using your native equipment. 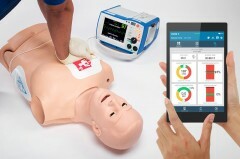 HAL supports real ECG monitors, oximeters, BP cuffs, and defibrillators just like a real patient. Be the voice of HAL and hear caregiver responses. Create and store vocal responses or select from a 80+ pre-recorded phrases. 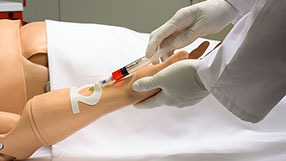 Train pupil examination, male/female catheterization, IV administration, tracheostomy care, and more. 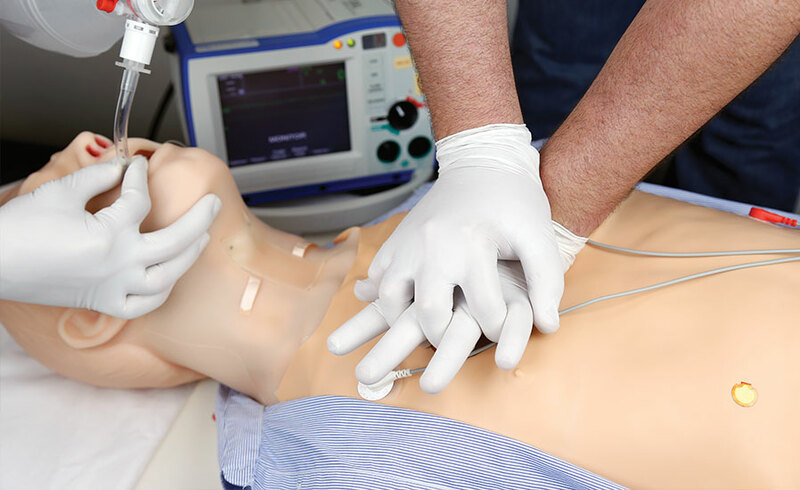 Train difficult airway management, improve CPR quality, EtCO2 monitoring, practice defibrillation, and manage post-cardiac care. HAL is fully equipped and ready for use. 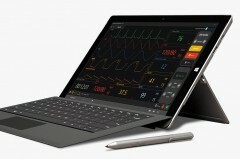 HAL includes a wireless control tablet, UNI®, a scenario library, and accessories for one great price. The commitment to providing innovative technology and value is still our principle today as it was over 50 years ago. Since 2004 our industry-leading HAL series design and wireless technology has been proven effective and reliable by our users. The HAL S3101 is the evolution of the HAL S3000 design awarded a certificate of airworthiness by the US Army. Control him at distances up to 300 meters and between rooms and floors of conventional buildings. 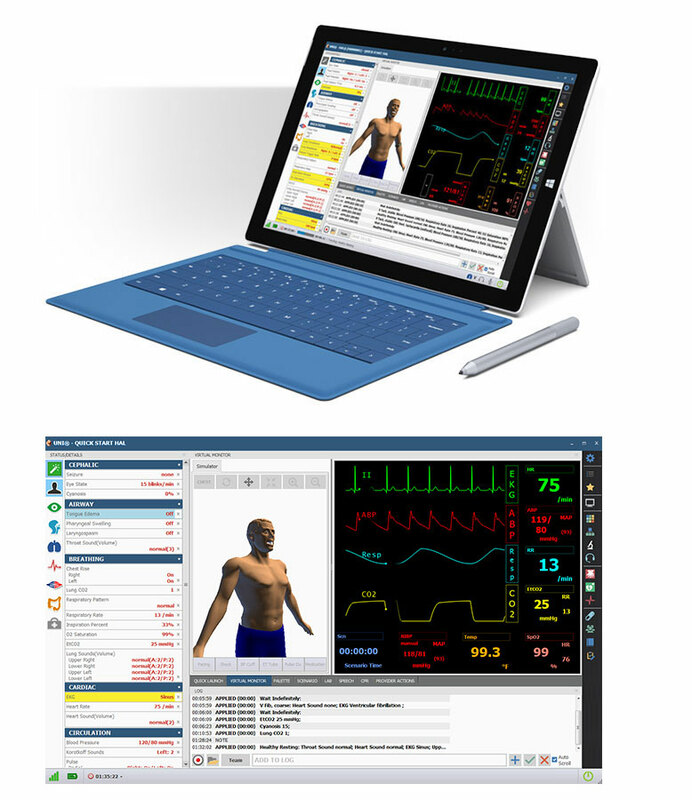 The UNI® interface design is shared across our growing line of 15+ computer controlled patient simulators, so you can easily operate any Gaumard products without retraining, thus saving your program valuable time and money. Preconfigured and Ready. 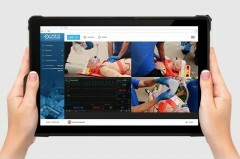 UNI comes preloaded and preconfigured on the rugged 12” wireless tablet PC included with the HAL package. Powerful Easy-to-Use Controls. 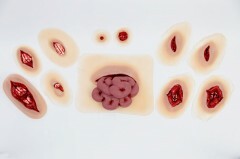 Control HAL using preprogrammed scenarios, on-the-fly controls, or the physiologic model. Scenario Library Included. Select from the library of preprogrammed scenarios included or modify them to create your own. 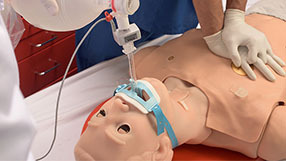 Automatic Physiologic Control The integrated automatic operating mode simulates lifelike responses to the care provided, medications, trauma, and much more. 52 Drug Library and Pharmacology editor. Train the management of 52 commonly used medication. Easily modify the effect of each medications or add new ones using the built-in pharmacology editor. eCPR™ Monitoring. 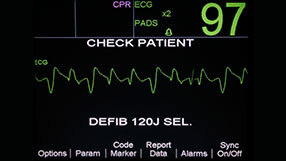 Monitor and assess CPR performance in real-time, simulate perfusion dependent on efectiveness, and export performance reports for debriefing. Time stamped event recording and reporting. The automated event tracking and interaction recorder ensures important events are always captured so you can focus on the action. Control View Replay. 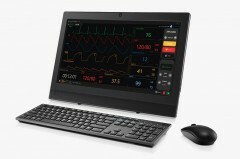 The built-in recorder captures UNI’s screen as data so you can review the simulation from the operator’s chair. No annual operating license or software update fee. Keep your program’s operating costs down year after year. Members of SMART - Special Malaysia Disaster Assistance and Rescue Team respond to an injured hiker - HAL S3101.